Things have been pretty quiet on the blog in the last week because I was in California at ALA Anaheim last weekend - the American Library Association's Annual Conference & Exhibition. I was excited when I found out it was going to be in Southern California because I could combine it with a visit to my parents after the school year ended. Being a teacher, one of the valuable benefits of being a member of a professional organization and being able to attend teacher/librarian professional association conferences/conventions, beyond attending sessions to learn more about aspects of my profession, is visiting the exhibit hall and talking to publishers about what books they have coming out that might work for my students to bring into my classroom. Sometimes I go in with specific genres/topics in mind where I'm trying to find titles to fit certain units we're planning. Sometimes there are some titles I'm just really looking forward to reading and want to be able to read and share with my students, other teachers and librarians, and on the blog. Sometimes I come across titles I hadn't heard of yet, but by seeing it/hearing about it from the publisher reps, I learn about books that could be great for others to know about too that I might not have found any other way. All times I feel very lucky if they're offered to me at no extra cost (usually the ARCs), but many times they're books for purchase (especially if it's an author signing) at a discounted cost from other ways of purchasing (I still easily spent a couple hundred dollars on books over the course of 2 1/2 days). This was an excellent chance to increase my knowledge of what the current titles for fall/winter are as well as a way to help enhance my teaching through getting books I can share with my students. There were also lots of authors there that I was able to get signed books from and talk to about what my students think of their books and how I use them in the classroom, which always seems to be something they enjoy hearing about. And, extra bonus, I bought books to get personally signed by the authors for my nieces and nephew for their Christmas presents, too (part of the reason my picture book list is so long). *I'm not doing pictures this time because many of the titles were already sent out on loan to my twitter teacher and librarian friends who weren't able to make it this year. The whole list is here on goodreads if you'd rather (you can also see which ones I've already read and rated). Many, many, many thanks to the awesomeness that is the reps at HarperCollins (&Walden Pond Press), Little Brown & Co, Penguin, Simon & Schuster, Sourcebooks, Disney Hyperion, Scholastic, Random House, Candlewick, and Macmillan!!! STRUCK is one of Macmillan's Fierce Reads for this summer and I can see why as it is a fast-paced, suspenseful novel full of action, heart, a little bit of mystical magic, and heat. It takes place over a four day period of time in a Los Angeles that has been destroyed by an earthquake. Mia is a tortured character dealing with trying to keep her little family together and the aftereffects of the multiple lightning strikes she has suffered. She is the key cog in a wheel of good vs. bad and the people who are trying to save/destroy the world, and both sides are trying to recruit/control her. So that all sounds really big, but at its heart, this is the story of a girl just trying to figure out how to keep herself together and to choose/make her own destiny. Jennifer Bosworth has written an engaging story that takes on issues of religion, beliefs, family loyalty, and finding one's own path...and looks at what choices one would make to keep oneself together. She has written STRUCK in a way that keeps the action moving and the pacing made me want to keep reading and turning pages to find out what would happen next. The characters were drawn in a way that made me want to help them, and I wanted things to work out for them. She has also built a world that looks at what people would do and which direction they would turn to comfort themselves after a devastating natural disaster. In the midst of all of this, Mia meets Jeremy who she's not quite sure about in the beginning, and who is a positive male character even if he is tortured himself. Although I did predict a few of the reveals toward the end, I still really enjoyed reading my way to them. I look forward to seeing what Jennifer Bosworth will come out with next! 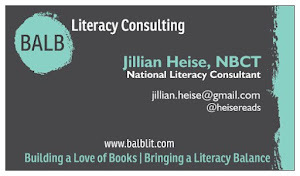 The purpose: To support, encourage, and celebrate reading and librarians and teachers. To network with other teachers and librarians on twitter to grow our PLNs. To enjoy a friendly challenge to keep us motivated to read as much as possible this summer. To hold ourselves accountable because we'll have to tell someone how much we're reading. The timeframe: June 18 - July 17 ~ Majority of the book finished within these dates. The guidelines: Every book you read counts as a book read! The winner(s): EVERYONE because we're all going to be reading more (we hope) and growing our community/network of teachers and librarians on twitter and beyond. But the group (Librarians or Teachers) that reads more, determined by a collective total figured into books/person, does get the bragging rights. No one loses when everyone reads! The people behind the curtain: Brian (@brianwyzlic) and I (@heisereads) [teachers] first started the friendly #teacherthrowdown and Kathy (@thebrainlair) and Sherry (@LibraryFanatic) [librarians] ran with a summer version teachers vs. librarians idea. If you have any questions, feel free to ask any of us (you can easily find us all on twitter)! The history: aka: So what is this #throwdown thing anyway? 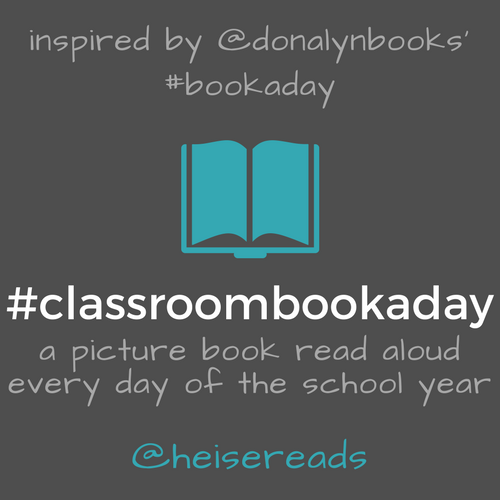 Brian and I started this as an offshoot from a reading motivator #throwdown we did with our Sister Classroom Project this year. If you want to know more about it, I explained it here and Brian talked about it here. Get started here...Join the #summerthrowdown challenge! Record your progress...on this spreadsheet. To log the books you've read, open up the Google Spreadsheet, and make sure you're on the correct sheet (you can toggle between teachers and librarians at the bottom of the page). 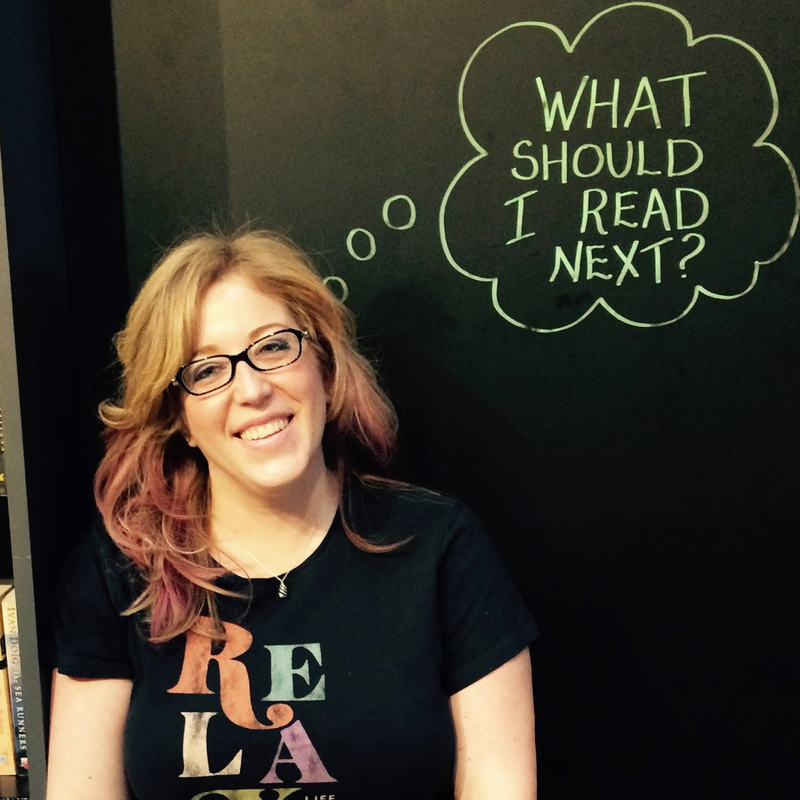 Add your name and Twitter handle (if you have one -- definitely not a requirement), and then every day you finish a book, update the appropriate column in your row with the number of books you have finished (or every few days if you're like Jillian and tend to forget-just keep a record for yourself!). Your total will automatically update at the end of your row. Please total everything you read that day. So if you finished a 150+ page book and 2 32-page picture books on the same day, that would be 1 + 1/4 + 1/4 = 1.5. So you'd type 1.5 into the cell for that day, and your total will automatically update. It should go without saying, but please BE HONEST, and NO UPDATING ANYONE ELSE'S BOOKS (unless they have asked you to do so). 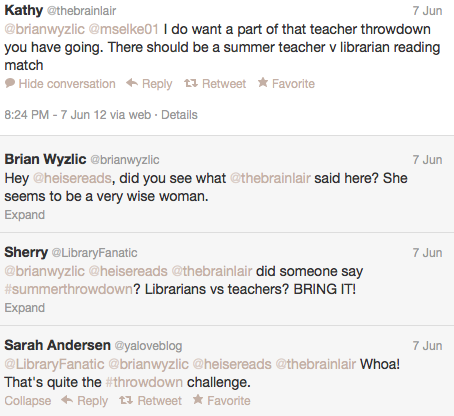 Are you #teamteacher or #teamlibrarian for #summerthrowdown? Susane Colasanti consistently writes contemporary romance novels that are engaging for teens while still dealing with the ins and outs of high school drama and difficulties. With KEEP HOLDING ON, she's gone one step further. This book introduces us to Noelle who does not have a good home life and does not have a good school life. Noelle is bullied and it makes her day-to-day life in high school a hope-to-get-through-it experience. She seriously lacks self-esteem because of the neglect of her mother and the bullying of her classmates, so even if one is reaching out to her, she can't see it. She lets herself get into toxic relationships because she doesn't think enough of herself, and she avoids other relationships and situations that could be good for her because of her fear that it will increase what she has to deal with on a daily basis. As a teacher, it is heart-breaking to read the things she has to put up with. As a former teen, it seems all too familiar. Things may be different now with the extent of what kids will do to each other and the age at which it starts, but it still resonates with me having been there myself. My own (or any reader's) situations may not be exactly like Noelle's, but too much of it seems hauntingly familiar. Susane Colasanti has written the story of what too many girls have to go through on a daily basis in high school in a real and honest voice. What they have to be afraid of, what they hope to avoid, how they deal with it. But Noelle's discovery of her own voice and value leaves the reader with a sense of hope. I appreciated how this book was written as a countdown. Each chapter starts with the date and how many days are left in the school year. It gives it a sense of urgency and nervousness as to whether we will get to the end or not. Also, the way in which it sometimes jumps from one scene to the next makes it feel almost as if we're watching snapshots of the life that Noelle is having to live. It's a short-ish book and written in an easily accessible way, which is what it needs to be for this topic. One of the strongest parts of this book are the cast of supporting characters who actually do help make things better for Noelle. There are individuals out there who are looking out for these kids: teachers, social workers, friends, guys, and girls who want to help them through it. We need to start celebrating these people more in the lives of those who are subjected to the bullying that happens to them in school. The book ends with a message from Noelle to all of those who have felt like they are outsiders or have no hope. It leaves with a message of hope. Then, Susane tells her story and provides the reader with names and information on many organizations that are out there to help them through. A powerful note to include in a book such as this that may open a teen's eyes to something they didn't realize before - that they can reach out and ask for help, and that they should. Although it does contain a few mature scenes, I would share it with older middle schoolers, and I definitely think it should be in every high school classroom for teens to read.